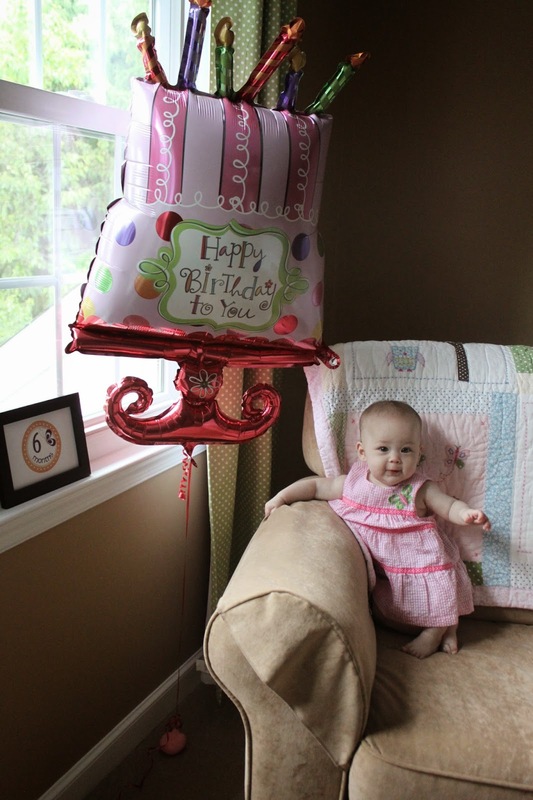 We are celebrating Hope's very first "half birthday." 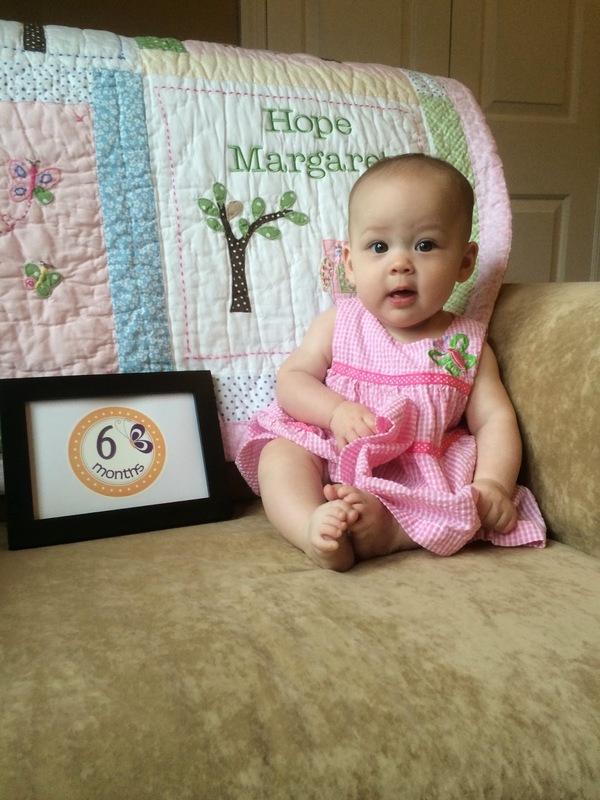 Today she is six months old. Halfway to One!! There's something I need to tell you about this child of ours. She has the sweetest - and I mean the sweetest - personality. She reminds me so much of her brothers. Ed and I agree that she has Gavin's zen demeanor. But she also has Brian's charm. She's a quiet observer - taking it all in and not wanting to miss anything that's happening around her. And yet she attracts attention wherever she is - with one little pout or a big grin - she stops people in their tracks. Hope has truly been the light for all three of us during a very dark time. This tiny little baby has managed to forge a profound relationship with each of us in such a short time. She has her Daddy wrapped around her finger - and she just lights up when he walks in the room. Brian showers her with love and kisses and whispered little secrets every single day and she thanks him with the biggest smiles and the best giggles. And I don't even know if I have the words to describe the bond I feel with this child. The child I feel that I knew before I knew she was even a possibility. I can't even explain it. I can't even explain. We have a lot planned for Miss Hope this weekend. We're celebrating as a family and including Gavin, as usual. She is too little to consciously understand that she has a brother who is now in Heaven. But the three of us still tell her stories about him and he will continue to be a part of this family's narrative forever. She may be too little to consciously "get it" - but we know her soul remembers and understands. I like to call this one the "floating head." My early photography work left little to be desired, I know. Ha! 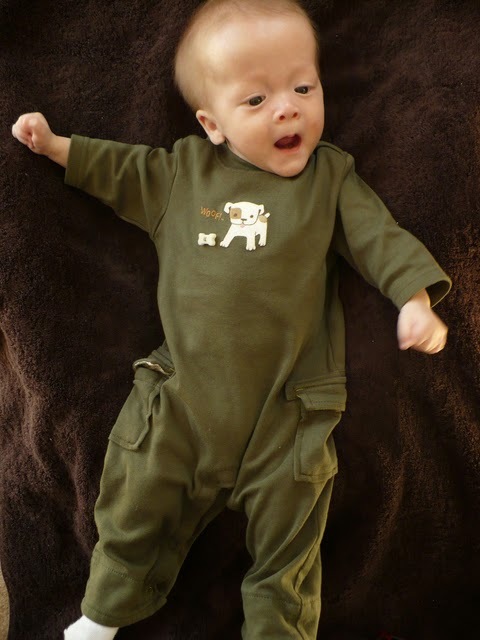 Brian's happy, giggly, loving personality has never changed from infancy. Half Birthdays are a big deal in our family. I could say that it's a way to get two celebrations a year - and that would be true. I could say it was set up in case our "winter babies" wanted a birthday party in the warmer months. We could give them a choice when they get older when they would want their party. That reason would also be accurate. But the real truth is - "half birthday celebrations" began with Gavin. When Gavin was born - we were thrown for a loop. 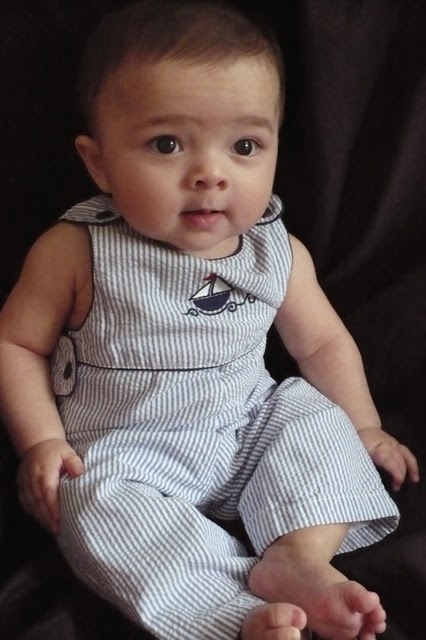 Our first child, we expected to be handed something right out of the Gerber baby book. Instead, he wasn't handed to us at all. 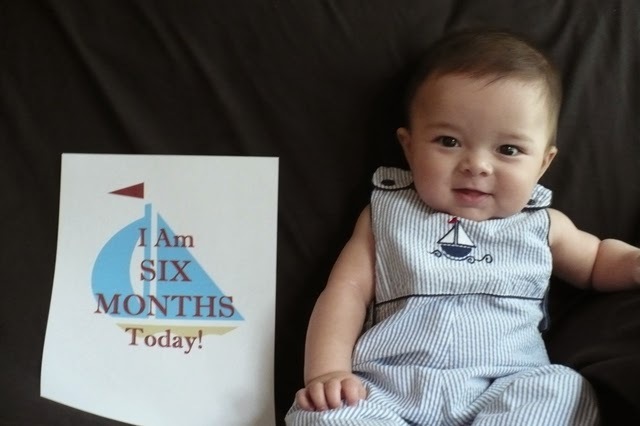 He was whisked away to the NICU - and his life was a roller coaster from that moment on. I learned quickly that in order to stay positive, stay focused and encourage Gavin... Ed... and even myself... I had to celebrate every little thing. I decided to focus on the happiness... the accomplishments - no matter how small... the every day - knowing from the start that we had no idea what the future would hold. 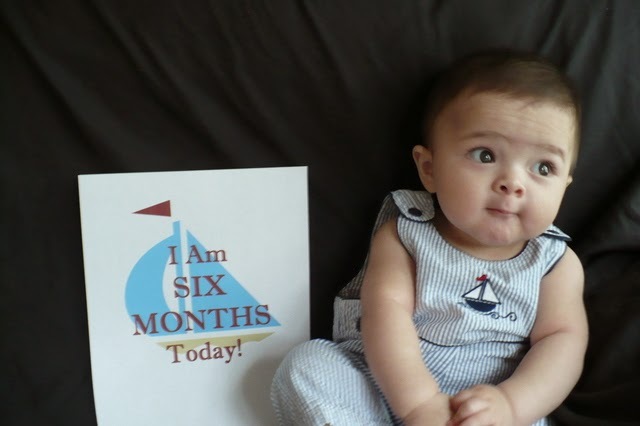 Gavin's first six months were hard. Really hard. Not just for us - but for HIM! When he was about to hit the six month mark I decided he needed a party. That WE needed a party. And that was the inception of our "half birthday" tradition. It's not just a silly thing to us (although it is silly and cute!) - it's a reminder. A reminder to celebrate our loved ones. A reminder that nothing is promised. A reminder to focus on the positive. A reminder to love - big. 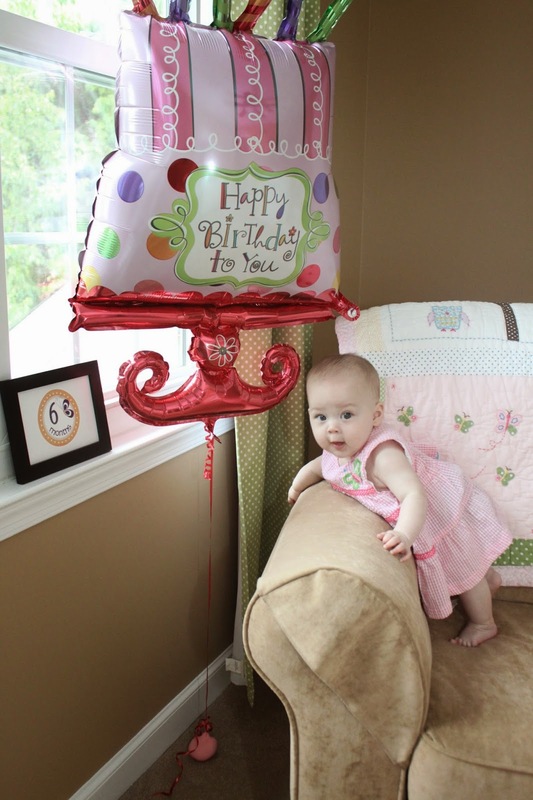 And an excuse to buy a birthday balloon that is bigger than a refrigerator. 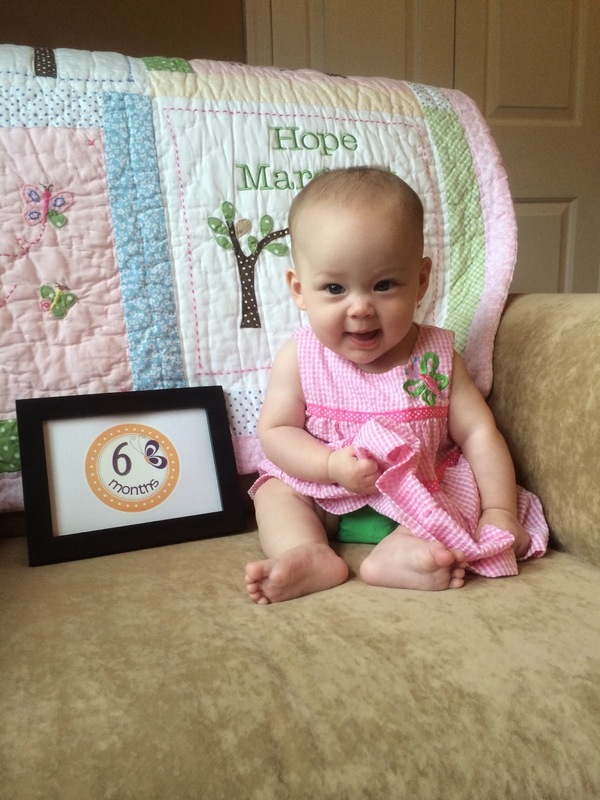 It's so hard to believe you are six months today. We kept you alive for half a year! And, most importantly, you survived some pretty tough illnesses - thank God - in a short six months. You will probably be the most photographed kid around, the most kissed and hugged by your parents, the most reminded of all you've been through until it bores you to tears. We try not to take any moment with you for granted. Every time you open your hands, every time you smile, every time you hold on to something, every time you finish a bottle, every time you lift your head up or try to turn over. We celebrate every moment because every one of those moments is huge. I'll never forget the day you were born. I was so happy and so excited...I couldn't wait to see my little "Chirish" baby that I dreamed about for months while you were in my belly. Would you look more like Daddy and not at all like me? I remember lying behind the curtain, so helpless, not knowing what was going on and relying on your Daddy to give me a play by play. I remember not hearing you cry...not that day or the next. I remember they told me that I needed to recover from my surgery and I wouldn't be able to see you until the next day. I remember saying "Yeah, that's not happening", turned my head...threw up in a bucket, and promptly said "Let's Go". I remember not being scared the first time I saw you with all of your tubes and wires and bruises from the delivery. I just knew you were a fighter...I knew you were going to be all right. I spent every day sitting by your isolette for a month. I never took a day off. You were never far from my mind. It's amazing to me that one little boy has had to suffer so much. We tried so hard to have you...then worked so hard to save you....then prayed so hard that you would be okay. You are the most amazing little boy I've ever known. 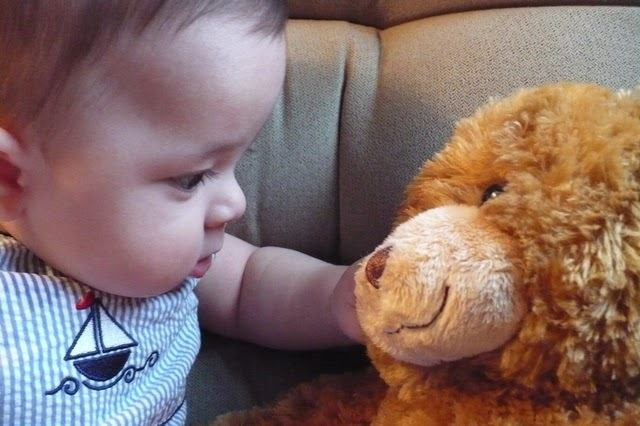 I've already learned so much from you and you are only six months. I can already imagine your potential as an adult. You have so much to give the world just from sharing your experience. We were devastated when you got sick. 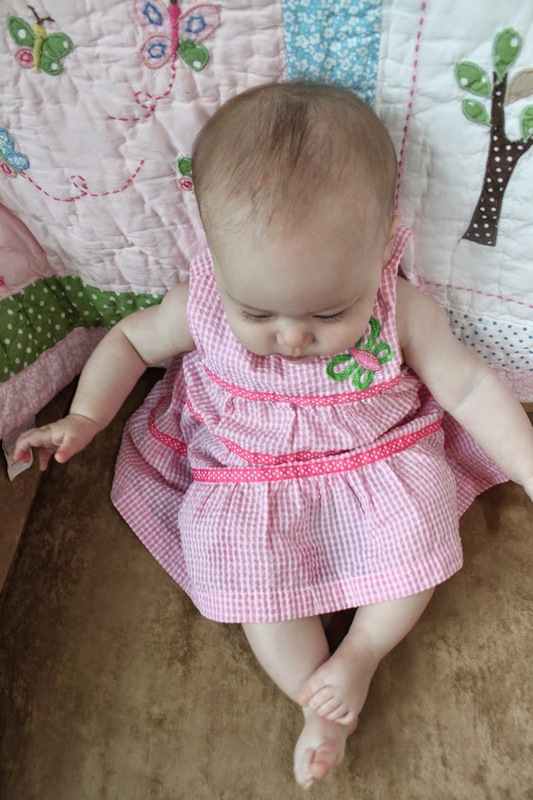 We felt so guilty as we tried to protect you from everything when we brought you home from the NICU. I lived by your bedside for 8 weeks. I waited a long time for you....nothing was going to tear me away at that point!! It was a good lesson - though it took a long time to realize it - that we'll never be able to protect you from everything. You'll get sick, get hurt, have your heartbroken...we wish we could protect you all the time, but we can't. That's hard. You are blossoming before our eyes. Every day you grow stronger and braver. We're so proud of you and your progress. 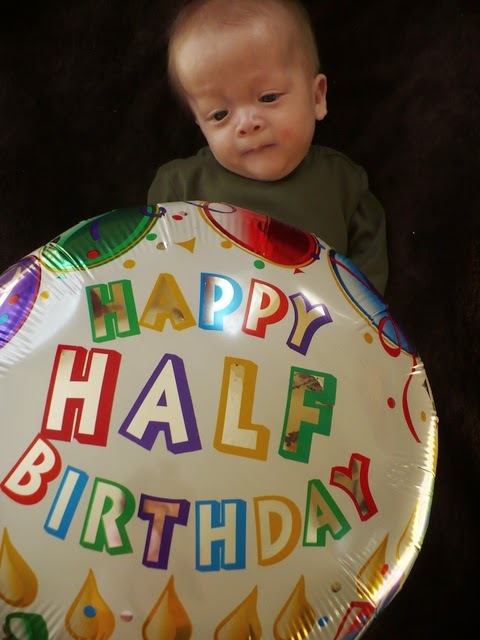 Today is the day we celebrate halfway to one year. But always remember that we celebrate you every day. 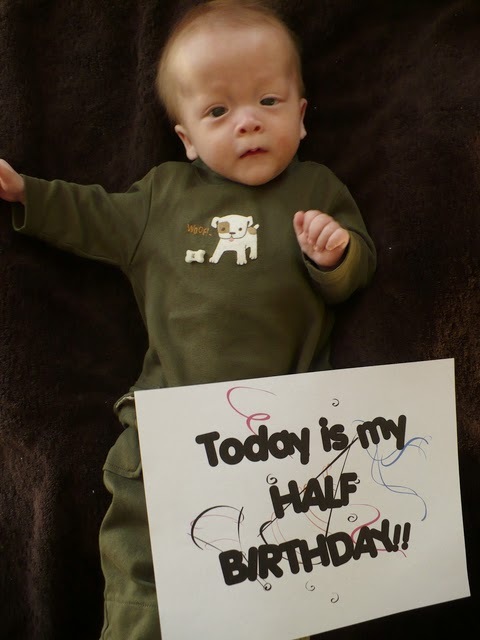 Happy Half Birthday, Gavin. 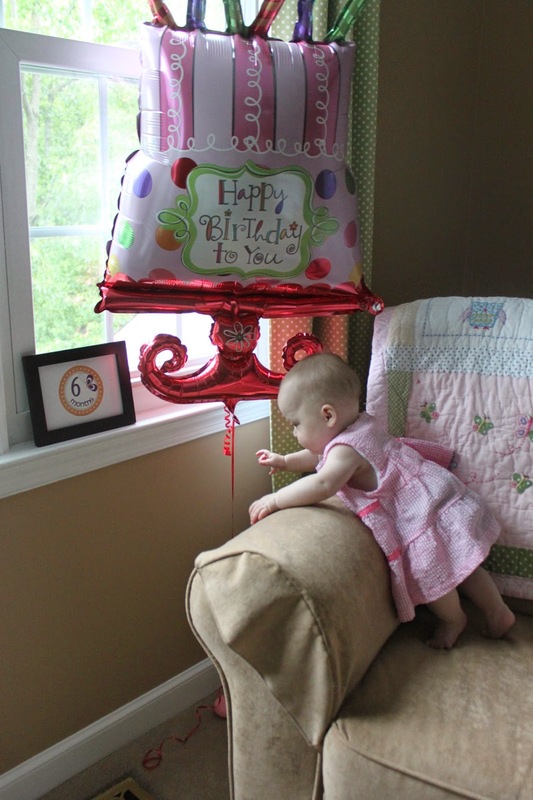 Just you wait until your "REAL" birthday....Mommy will get even sappier!! Because of Gavin, we know to celebrate every single day. And to love... BIG. We love you BIG, little one! Kate you are such an inspiration. I read your blog and look at the pictures of your beautiful children and have tears of both joy and sadness. You are such a strong woman and the most loving mother I have ever seen. Thank you for continually sharing your family and your journey with us. I know it makes me a better mom by learning through you. Because of Gavin, we know to celebrate every single day. Wow!!!! !That was so amazing. May God continue to bless your family.